As the demand for smartphones in the country continuously increase, Smart has not disappointed its avid subscribers by creating various options available to them to enjoy the latest technology in smartphones. In partnership with LG, Smart has gained the exclusive availability of LG G2 Mini in the country. Undoubtedly, many will be delighted to know that LG G2 Mini is now offered for Smart LTE All-In Plan 1200. Under this All-in Plan, subscribers can benefit fast unlimited mobile internet every month as it comes with Unli LTE 995. The remaining balance can be consumed using various Smart call and text bundles. Prospective subscribers is required to pay P2,000 cash-out for this type of plan. 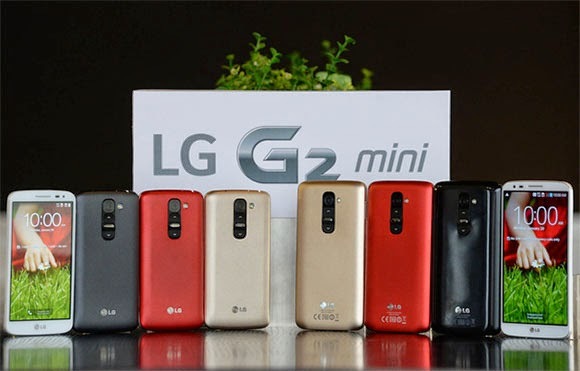 This latest in LG is loaded with a lot of cool features like the new knock code security feature, knock on/Knock off gestures used to wake and unlock the G2 Mini. Other key features like “Rear Key”, “Guest Mode” and “Plug and Pop” suggests that LG has brains in its software department. Refer below for more impressive features and specifications of LG G2 Mini.